We recently met ISOC Libya at the ICANN #59 and agreed to make an informal partnership as we did when meeting ISOC China some few years back. These local ISOC organisations are not yet affiliated with ISOC global yet have similar thinking to all of Internet Society. Our Italian contemporary recently referred to the term “Internet Orthodoxy”, a standards based open internet for everyone. 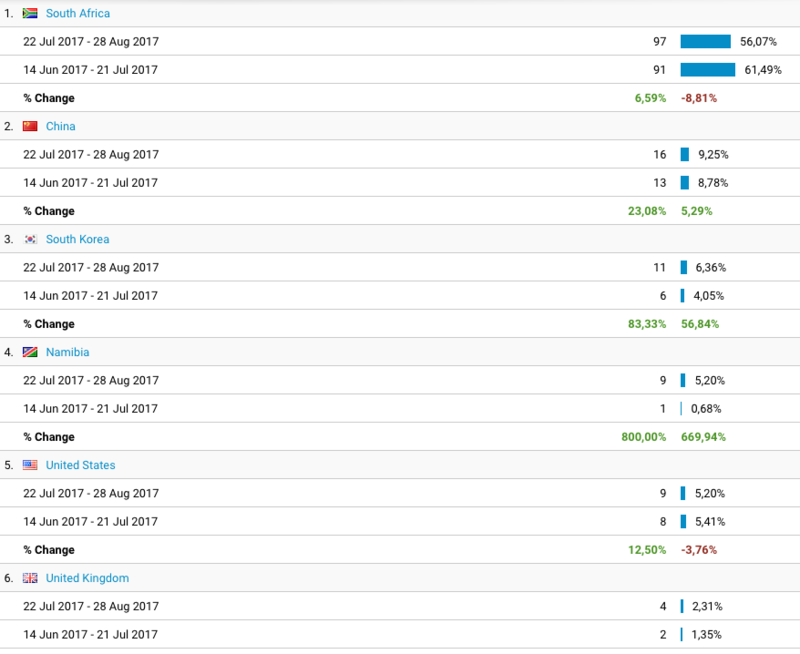 We’re sharing some of this web site analytics to show that of course our visitors are primarily from South Africa and we welcome more visitors from China and South Korea than the US!